One often hears of children being forced to work against their wishes, often by family members knowingly and clearly exploiting them. But then there are also the odd cases of kids being pushed into working at an age when they should ideally be in school, a case of circumstances turning out to be the villain in their lives. Often people, who are considered trust worthy, go on to exploit the children or their family members, as a result the kids in question go on to suffer for no fault of theirs. There have been attempts made by quite a few filmmakers to highlight upon the aspect of child labour, which is illegally still being practiced in various parts of the country. But Jayaraj’s Ottaal aka The Trap, winner of 2 National Awards for last year and the winner of the Kerala State Film Awards for Best Film, is quite a special film indeed. Screened at the recently concluded Mumbai Film Festival, where it again picked up a couple of awards, Ottaal has finally released in Kerala last week. For starters it’s nice to see the filmmaker openly acknowledge the fact that the film is adapted from Anton Chekhov’s short story Vanka, quite a welcome stance considering that people usually shy away from admitting the source of inspiration. Also remarkable is the way in which the original source material has been beautifully adapted by screenwriter Joshy Mangalath, making Ottaal fit in so well into the background of Kuttanad in Kerala. No wonder Joshy went on to win the National Award for Best Adapted Screenplay. Jayaraj is a director who has been making Malayalam films for a long time (his first film Vidyarambham being released way back in 1990) and is known for both his commercial entertainers like Johnnie Walker and 4 the People, as well as artistic ventures like Desadanam, Kaliyattam, Loudspeaker etc. Despite being a little inconsistent of late with failures like Camel Safari, Naayika, The Train etc, I’ve always felt that Jayaraj is quite in control whenever he attempts films with a lot of heart. Hence when I heard of Ottaal winning the National Awards, I was quite looking forward to the film. Thanks to the Mumbai Film Festival, the wait finally ended. 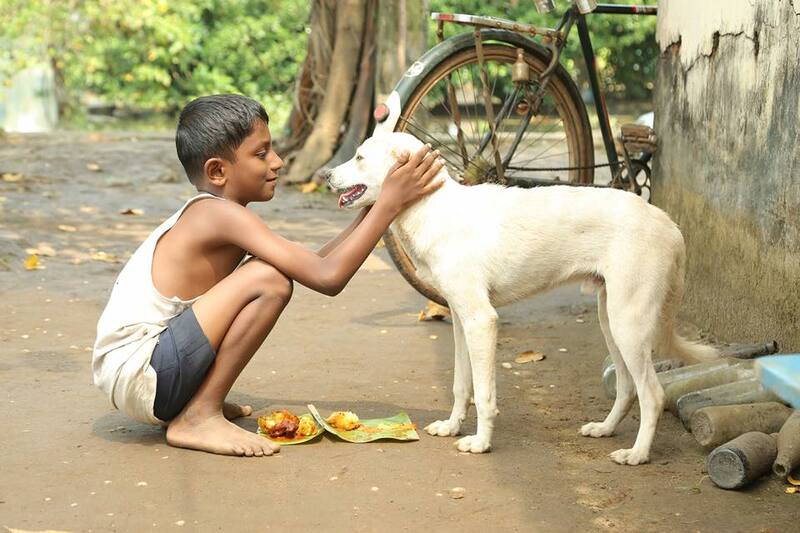 Ottaal is a tale that revolves around an 8 year old boy, Kuttapaayi (Ashanth K.Shah). 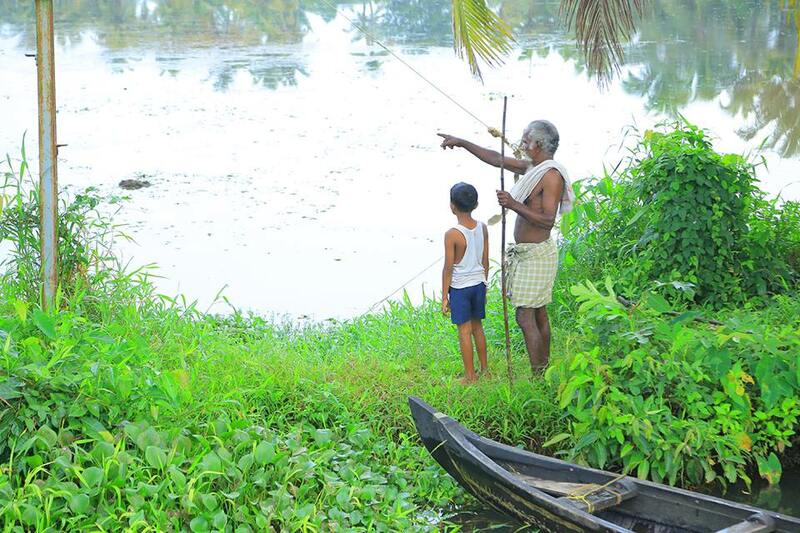 Having lost his parents, Kuttapaayi now has only his beloved grandfather (Kumarakom Vasudevan) for support and company, and thus Valiyappachayi or the grandfather brings Kuttapaayi along with him to Kuttanad where he lands up for rearing ducks. Soon Kuttapaayi has a good time, helping his grandfather in tending to the ducks, befriending Tinku, the rich kid and enjoying the simple pleasures of life in the wetlands of Kuttanad. When Valiyappachayi sadly realizes that he may not live long he gets worried about Kuttapaayi’s future as he has no parents or any other relatives to hand him over to. When all other options fail, including getting Tinku’s parents who run a lucrative home stay & houseboat business to take him along, he is all the more distraught. Despite not being too keen, Valiyappachayi gives in to the assurances of Mesthiri (Shine Tom Chacko) and sends Kuttapaayi to Tamil Nadu to work in a fireworks factory. Though Kuttapaayi is not keen to go away anywhere leaving his grandfather behind, he is coaxed to do so by being told that he is being sent away to a faraway school. 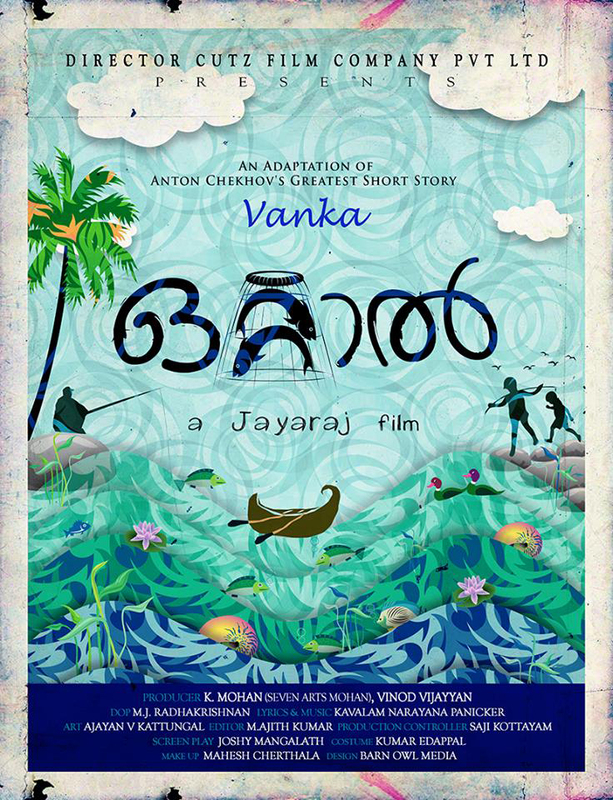 Jayaraj and Joshy Mangalath have taken great care in adapting the Russian short story into this Malayalam film over here. While retaining the basic essence and flow of Vanka, there is quite a bit of localisation done over which works very well, making one feel for Kuttapaayi and his Valiyappachayi, which is proof of the film having made good use of the source material. With Ottaal Jayaraj once again shows that one doesn’t need a grand canvas or popular actors to make a good film, as long as you heart is in the right place and provided you have a good source material you can certainly come up with an interesting film that leaves a long standing impression on the audience. Except for Shine Tom Chacko the film has no known actors, but a few minutes into the film and you are already soaking into the beautiful scenic locales of Kuttanad and you are hardly bothered about the absence of stars or conventional songs in the film. There maybe a few in the audience who may not appreciate the dark and sad ending to the tale, but then not only has Jayaraj remained faithful to Vanka, the ending also makes you feel a lot for the loss of innocence that is going to be seen in the life of Kuttapaayi, making you feel helpless in a way. But this is not a film to unnecessarily shock you about child labour or the hazards of working in a fireworks factory, the film hardly dwells on all that. For most part of it the film remains a tale of Kuttapaayi and his wonderful relationship with his Valiyappachayi, it is also a way of telling us how life can be quite cruel at times, often circumstances going on to be the villain in our lives. Otherwise why would the Mesthiris in the World manage to get away with whatever they do, why do people like Valiyappachayi continue to fall prey to such people and activities.These are but a harsh reminder of how tough it is to survive and exist in this competitive World outside? Kavalam Narayana Panicker’s musical score is soothing and blends in well with the milieu and natural surroundings of Kuttanad, Sreevalsan J.Menon’s BGM is equally effective. M.J.Radhakrishnan’s cinematography is wonderful, the frames bringing alive the vivid natural beauty of Kuttanad alive on screen. It’s amazing to see the kind of output that Jayaraj has managed to derive from his actors, what with most of them being non-professionals. Sabitha Jayaraj as Tinku’s mother leaves an impact and so does the kid playing Tinku, watch out for his reaction when he receives a district level honour thanks to Kuttapaayi’s creative work, quite natural and admirable. Shine Tom Chacko in his limited screen time does what is expected, but the real stars of the film are Ashanth K.Shah and Kumarakom Vasudevan, who play Kuttapaayi and Valiyappachayi with conviction. It’s a treat to watch their interactions and they look so good together that it’s tough to accept that they aren’t actually related in real life, making you realize the competence of Jayaraj’s direction. Ottaal is a fable like tale which is sure to make a strong impact on the audience, good to see the producers K.Mohan and Vinod Vijayan supporting a venture like this. The film is worthy of all the awards and the critical acclaim it’s been receiving, and to think the basic idea for this film originated in the form of a newspaper photograph which impressed Jayaraj, phenomenal indeed. Ottaal is a film made with a lot of passion and it’s a tale that’s realistic, relevant and touching. Films like these deserve our patronage, here’s wishing that the film manages to reach out to its target audience as much as possible. Just watched the film and read this. Brilliant description about one of the best movies ever made. As you said, you really don’t need a big canvas or popular actors to make a gem of a film. All you need is someone like Jayaraj who has a passion for the innocent lives out there. Hats off.